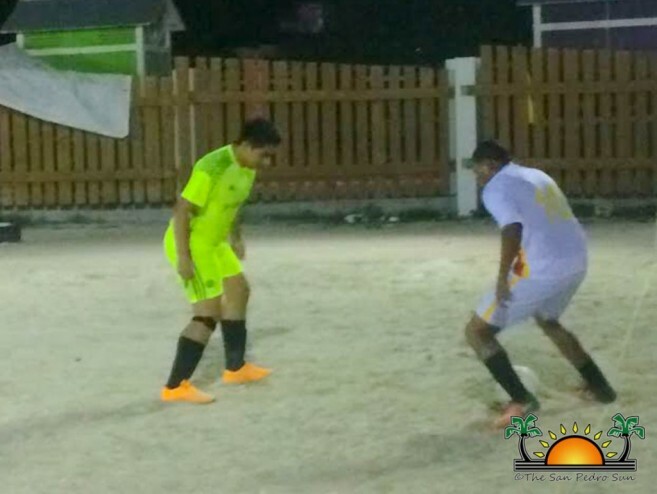 The San Pedro Town Council’s Five-a-side Football Tournament continued this past weekend with several fun-filled games held on Friday, May 26th, through Sunday, May 28th. 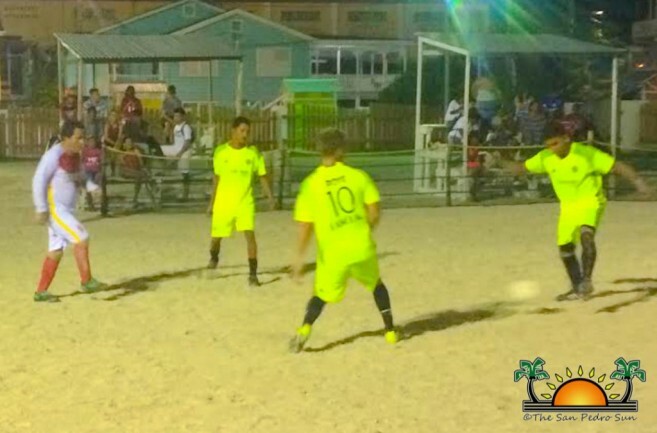 Held at the Honourable Louis Sylvester Sporting Complex, large crowds gathered once again to support their favourite players and teams. Five games took place on Friday in the Under 15 and Male divisions. Games started at 7PM and saw close games and wide gapped victories. 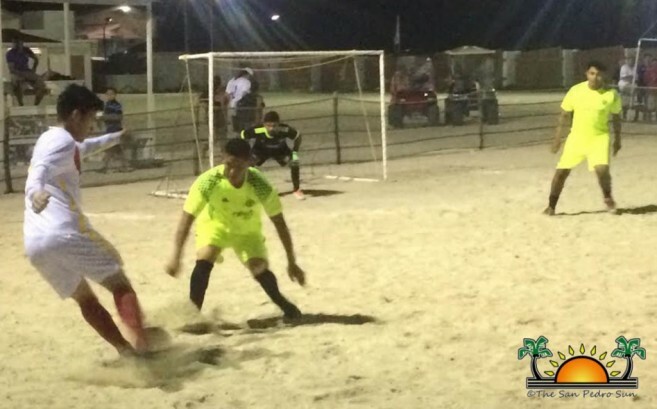 At the end of the Friday games the results were: New Raven’s 2 vs San Pedrito Strikers 2, Los Catrachitos FC 4 vs San Pedro Pirates 2, Los Catrachos FC 6 vs Boca Bombers 0, Joker’s FC 5 vs Sea Star Strikers 2, and Costa Boys 10 vs Peacemaker 1. On Saturday, May 27th, games continued in the Under 10 and Male divisions. It was another evening of football action and fans were out in large numbers supporting their teams. 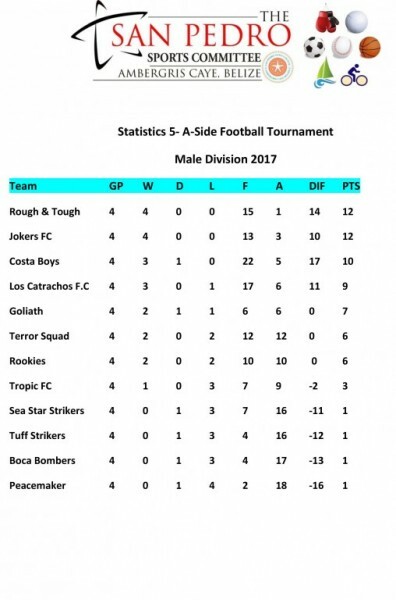 The final scores shows who the top teams were for that night: Pirates FC 4 vs FC Larubeya 2, Pirates Manchester 5 vs Belize Pro Dive 3, Goliath 3 vs Tropic FC 1, Rough & Tough 7 vs Rookies 0, and Terror Squad 5 vs Tuff Strikers 2. Sunday was the last day of games, with teams in the Under 13 and Female division playing. 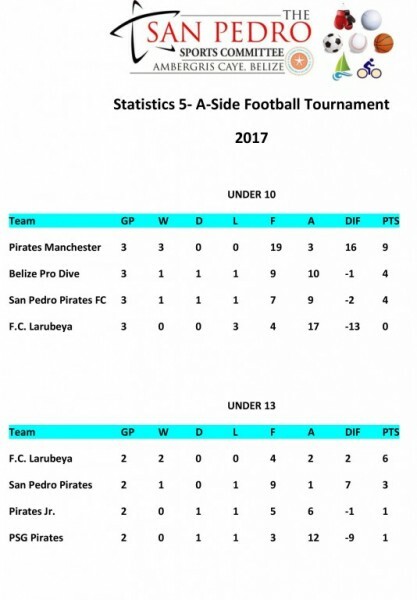 The younger teams played first, delivering a tie and a narrow victory: San Pedro Pirates Jr 3 vs PSG Pirates 3, and FC Larubeya 1 vs San Pedro Pirates 0. The female teams then took over the pitch, delivering two matches that saw the best out of the female players. The results recorded a tie between the girls from San Pedro High School #3 and PSG Island Invaders team, 2-2. The second match was between San Pedro High School #2 and the girls from Island Strikers, ending 3-0 in favour of Island Strikers. Games continue this weekend with games starting at 7Pm at the Honourable Louis Sylvester Sporting Complex.